Useful for so much more than lighting up the night sky, this chic fixture does what no ordinary bulb alone can do: enhance the curb appeal of your property. With a slim and curvy arm and fashionably angled shade, this gooseneck light for signs, awnings, and doorways is the perfect way to add functional value and aesthetic appeal to your façade. A solitary gooseneck fixture stands well on its own over a doorway or decorative statuary. Or you can line an entire façade with these angled fixtures to light up your storefront with style. The design of this modern gooseneck fixture meets two sets of criteria: those of the functional and those of the visual. The long gooseneck arm gives this fixture a unique, contemporary look while also ensuring that your light source is the perfect distance away from the wall. The angled shade- while fashionably minimalist in design- also guarantees directional lighting right where you need it. With this wide round shade you get a bright pool of illumination that will draw eyes to your sign or storefront even after the sun has gone down. 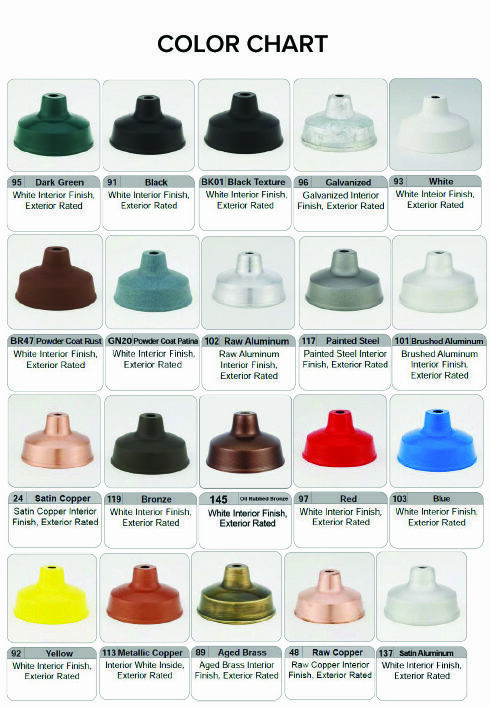 And we make it easy to match these aluminum fixtures to your existing décor because they are available in 20 finish options. Choose from vibrant colors and stunning faux metal finishes, or custom order to your exact specifications. This incandescent gooseneck fixture is as easy to install as it is to match with your outdoor decorative scheme. Each fixture comes with a round 4-5/8" diameter wall mounting plate made from cast aluminum. It has holes that are 3-1/2" on center to install on any standard 4" round or octagonal or 4" weatherproof recessed junction box. All parts of this light are powder coated to protect from the elements. Rated for up to a 150W bulb, this fixture is also available in other lamping options upon request.